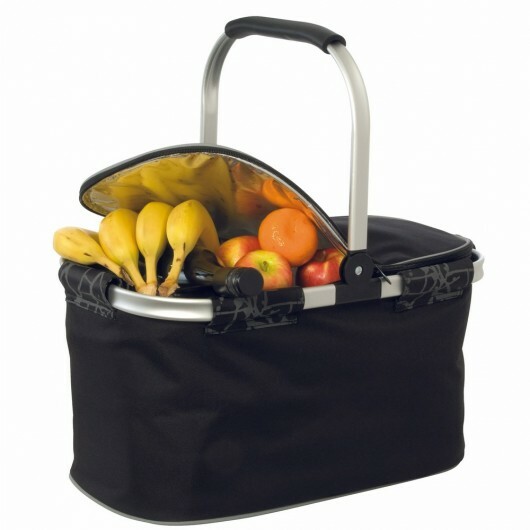 A smart promotional cooler basket that folds down to a compact size and features your logo. Treat yourself to a relaxing picnic with the some help from these cooler baskets. They have a large capacity, are easy to carry and collapse down to a compact size when not in use. The basket is made from 600D polyester with contrasting 420D trim, with a large insulated compartment and sturdy aluminium frame and rubber grip handle. An effective way to promote your logo and enhance picnic experiences!